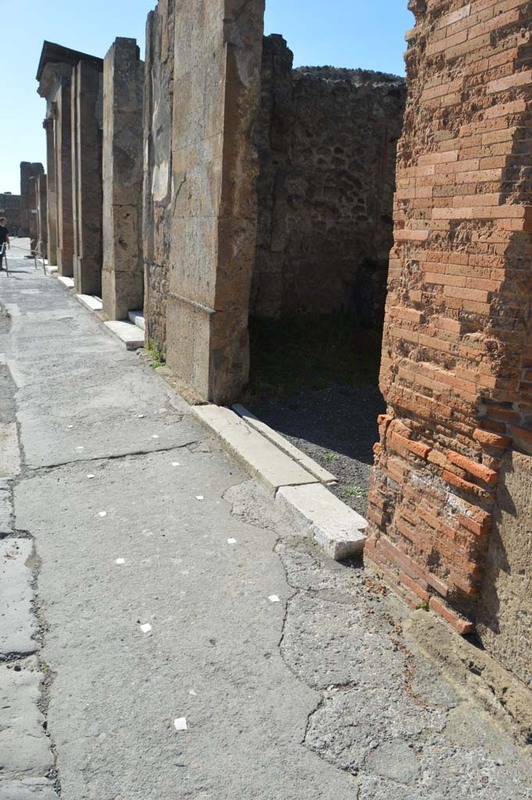 VI.12.6 Pompeii. Shop. Excavated 1829-32. (Strada della Fortuna 51). VI.12.6 Pompeii. December 2006. Entrance doorway to shop. VI.12.6 Pompeii. June 2012. Looking towards north-east corner of shop. Photo courtesy of Michael Binns. 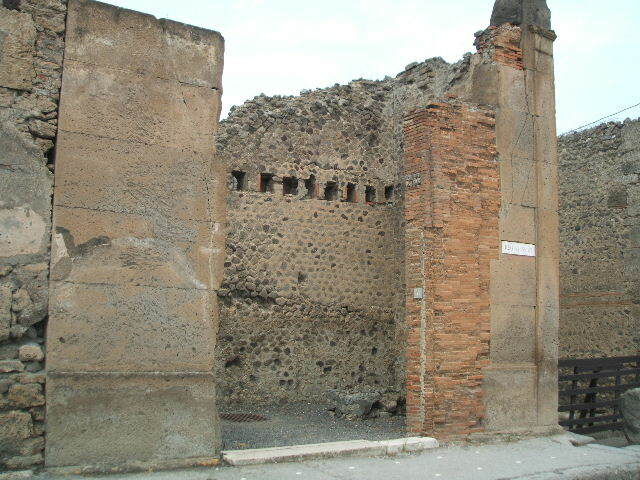 VI.12.6 Pompeii. June 2012. Looking towards east side of shop. Photo courtesy of Michael Binns. 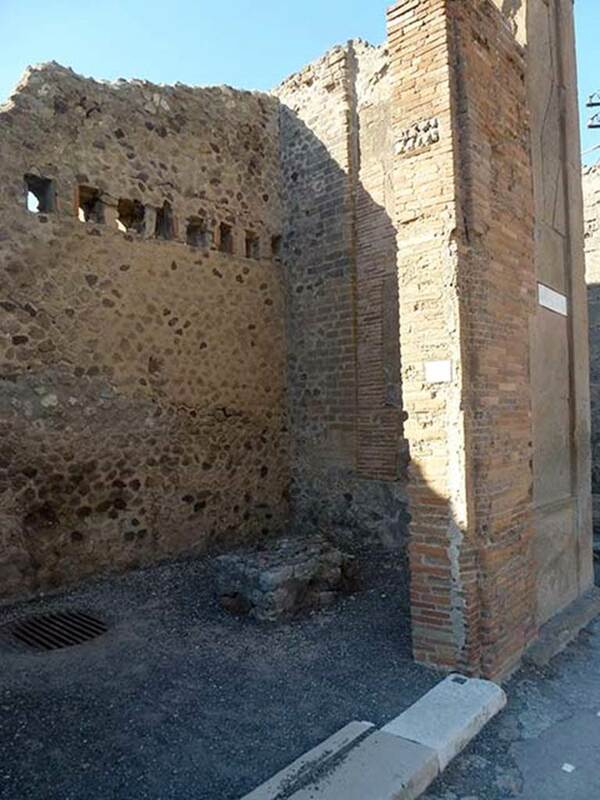 According to Boyce, in the south wall to the left of the entrance, was a rectangular niche (0.48x0.32, 0.25 deep). It was 1.65 above the floor. 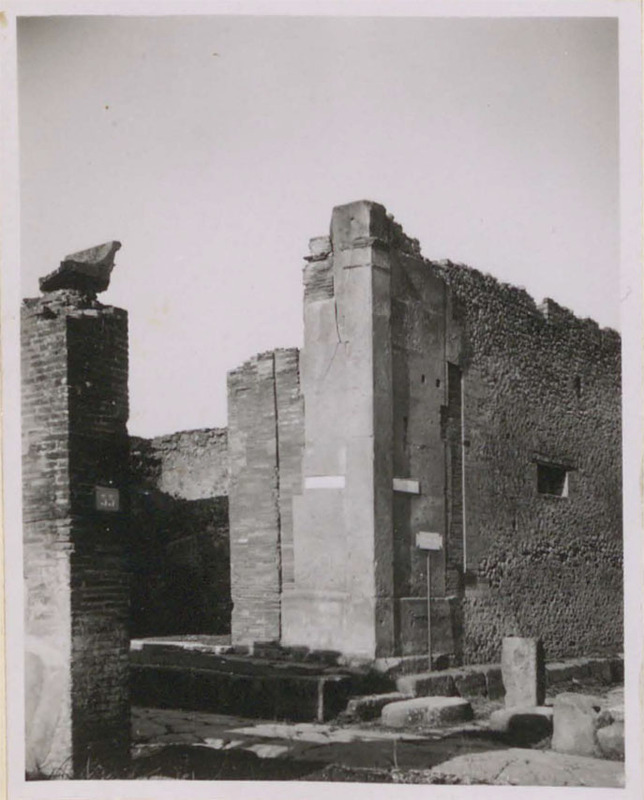 VI.12.6 Pompeii. June 2012. Cistern mouth in floor of shop. Photo courtesy of Michael Binns. VI.12.6 Pompeii. June 2012. 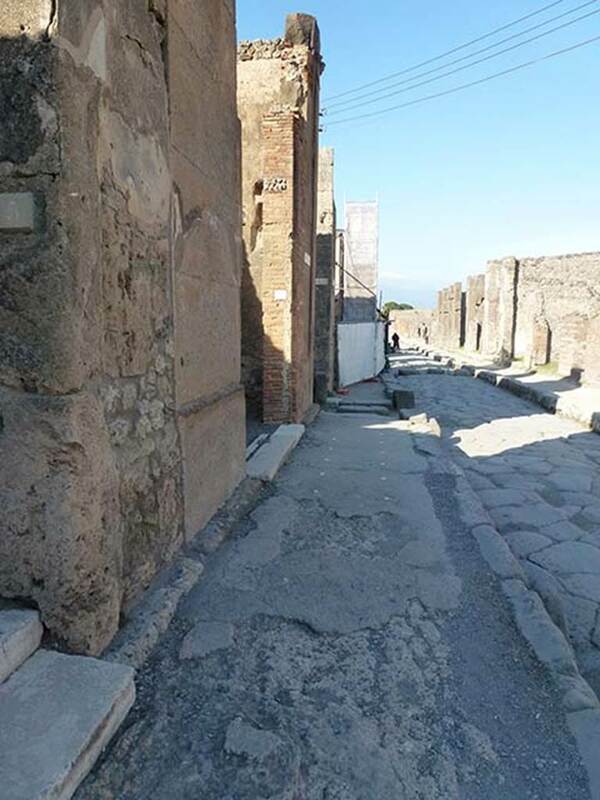 Looking east along pavement outside VI.12.5 and VI.12.6 (centre).